RackStand is a new concept in bicycle rack systems. It is a luggage carrier, mudguard, kickstand, and work stand all in one unit. 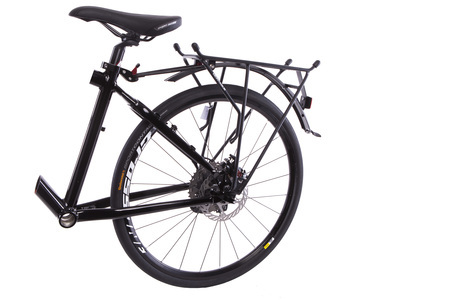 RackStand can be fitted with panniers like a traditional rear rack, while a quick release allows it to rotate under the rear wheel on a specially designed axle mount. 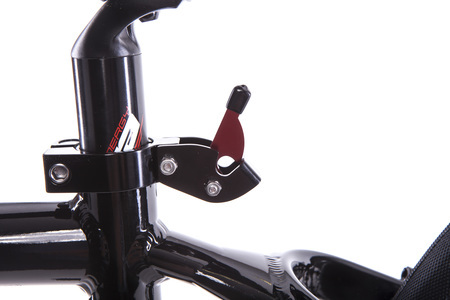 It is compatible with any 700c, 26", or 27.5" wheel, quick release or bolt on. 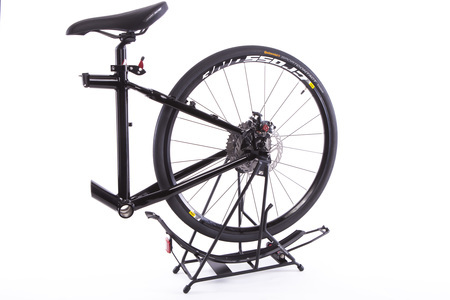 When in the lowered position, RackStand not only serves as a kickstand to hold up the bike, but can also be used as a work stand for drive train adjustments. The integrated mudguard serves to keep riders clean and dry. The idea of combining a bike stand, mudguard and luggage rack in this way is simply fantastic and has been done superbly here. The RackStand can be attached to virtually any bike.